I saw ClassHook on Free Technology for Teachers and thought to myself Hey! That looks interesting. So, here I am writing a review of the service and trying to determine if it is worth your or my time as educators. That pretty much sums it up. You can search for a particular topic and they have a short clip (usually 1–4 minutes long) that helps explain the concept, gives an example or adds a new type of perspective to the topic. Here is their YouTube video below that explains their service. It’s pretty straightforward to sign up. Just click the Sign in button in the top right hand corner and it will give you an option to sign up. You can only sign up with an email account. That’s fine, having the single sign on options with Google is nice but adding some info isn’t terrible. At the bottom it “asks” if you would like to be a part of the Vetter Program. This is a program that lets you evaluate and say if a clip is suitable for the classroom. They will send you clips to vet about the subject area you included in your profile. The say it is low commitment and you can opt out at anytime. By default this is checked, but it is good to know you can join in or out at any time. 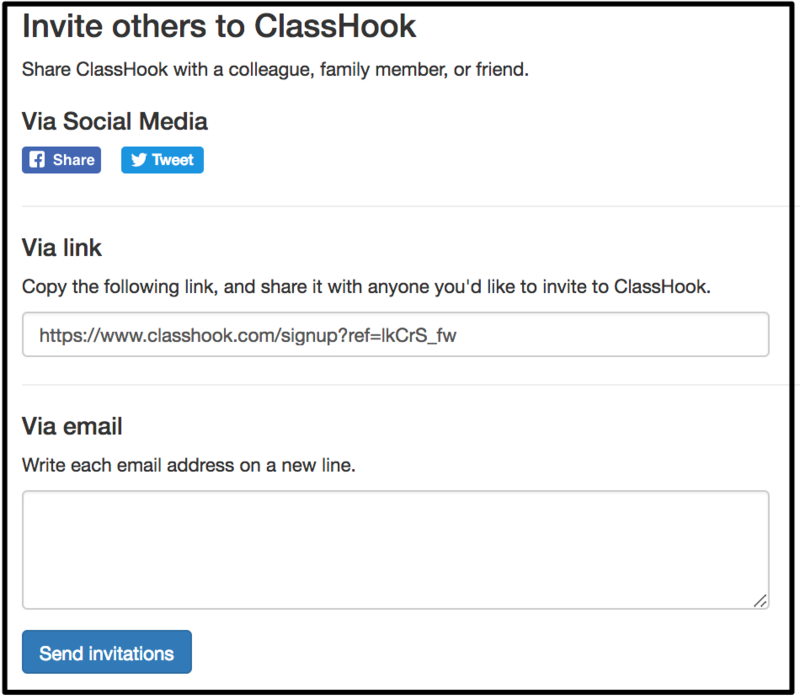 After you sign up you get a link that you can share out to invite more people to ClassHook. You also get an email with a verification link in order to fully activate your account. Now you are taken to your dashboard. It’s pretty simple. You have your name, subject you teach, the ages groups you teach in (E = elementary, MS = middle school) these go all the way up to college. You have some badges (badges are fun) you can earn. You have bookmarks, you can create Playlists (handy for organizing clips for classes) and if you submit any clips for approval you get those clips right there (upon approval). That last feature is nice. If you submit a clip, chances are you want to use it. This certainly saves you from having to search or try to find it. Using it is very straightforward. You type in what you want to find clips for and the service will return the clips. For this examples I searched for “computer”. I only received 11 hits. Yikes that is not a lot, but at least I can rest assured that others have viewed and vetted them to be OK.
At the top of the search results is a window to refine the search further. You can refine based on grade level, length, series even add a subsearch. One nice feature is the No Profanity box. This will remove clips with profane language. If your search doesn’t yield what you want you can peruse all the clips. In the top right hand corner and click Browse. Then select All Clips. This will take you to a list with everything broken up into sub categories. On the right hand side is a menu that will let you jump to a certain category if you like. So back to our example. I searched for computer and I received 11 hits (again that is a little on the light side). Let’s say I want to use this clip from the movie In Good Company. When you click the video it gives you a description of the video and while most of the videos are the entire clip this one has even been shortened a little as you can see in the timeline bar from the images. Also from this page you can grab the embed code (it is a little below what I grabbed for the above picture), add a discussion question, add a standard or a comment. You can even add it to a playlist. by clicking the Add to button or add it as a Bookmark. No, not really. Almost all of the clips are from YouTube or Vimeo. I found one clip from Hulu but I could not get it to load for me. I originally wanted a clip about a hard drive but found 0 results. So I expanded it to computers. If I wanted a clip that explained how a hard drive worked or discussed a hard drive I would just go to Youtube – which is what I did. I searched for hard drive on YouTube and the fifth video was a quick video showing a hard drive move in slow motion. It is 86 seconds long. If I want a video about how a hard drive works I just need to search for it and there are plenty more to chose from. The point is, you can find all those clips in YouTube. 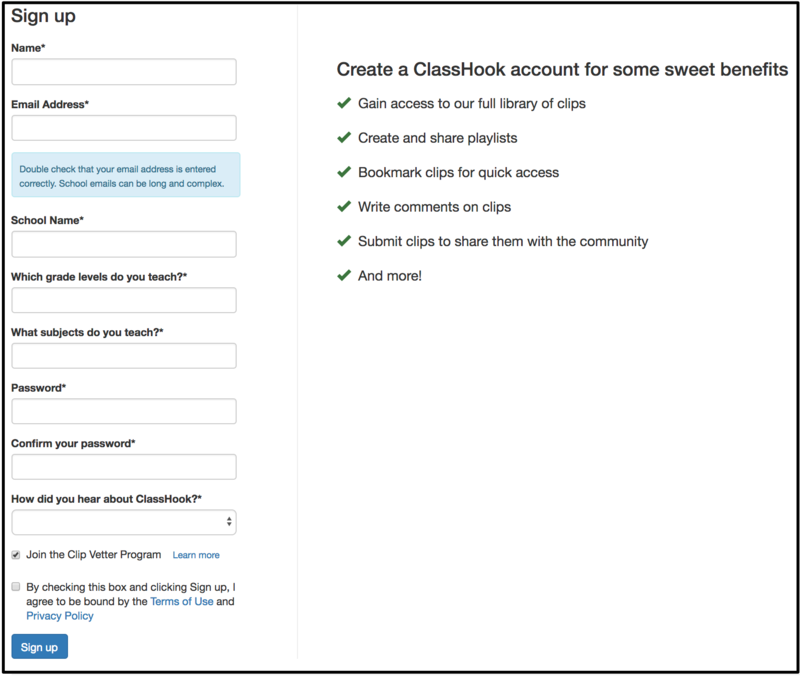 ClassHook is supposed to save you some time by providing a curated list of clips that have been submitted and approved by the community of educators. It sounds good but the results are just too few to truly be useful. If you do find some good clips remember this is most likely from the entertainment industry. Some of the clips could be not 100% factual either. These clips could be good for a discussion starter, but with a little bit of planning and a little digging you can probably find what you’re looking for on YouTube without the need of ClassHook. 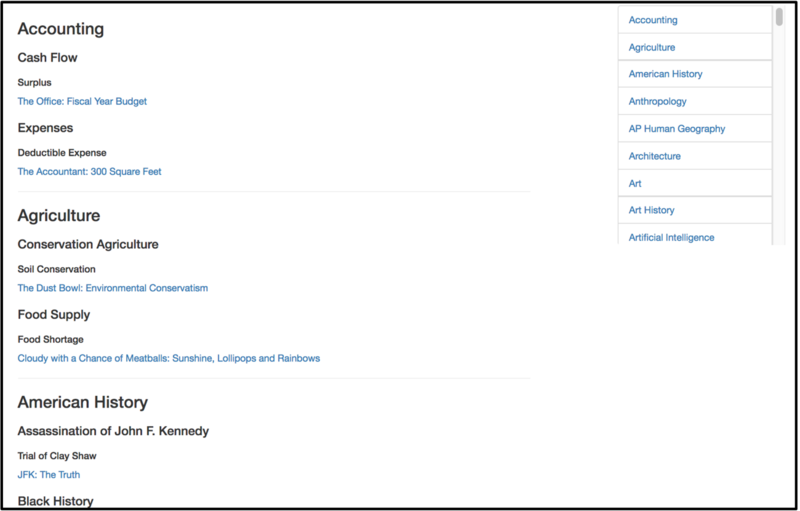 This entry was posted in Patrick Cauley, Review and tagged classhook. Bookmark the permalink. Thank you for your review of ClassHook! We’re aware that certain topics could use some more clips, and we’re actively working on expanding our library of clips. I appreciate your feedback on the topic of computers. We review every clip on ClassHook and perform the due diligence necessary to ensure that its contents are accurate. Our clip vetters also notify us of the accuracy of a given clip. While many scenes in movies and television are not factual, you can rest assured that the clips on ClassHook are verified to be factual. If a clip is not entirely factual, we make sure to note it in the description.